← Mother Nature Knows Best! Old Man Winter is Knocking – Will You Be Ready? In this issue of the Bucks County Women’s Journal, Carl Reppert, Owner of Healthy Homes Systems, Inc., gives tons of tips to keep your home safe and dry. Kinda’ makes you wonder why he would be giving you tips when he would definitely make more money if you didn’t follow his advice, right? Well, that’s the thing – Carl is all about helping people – it’s what he does. In an industry where most companies work off of commission, he’s seen way too often how those companies make a significant amount of misdiagnoses that tend to sell you the most expensive repairs. Why? Bigger fixes; more commissions. That’s not what Carl’s about – Carl is a problem-solver. His guys are not commission based, and the entire company is there to help people have healthy homes. Ever watch the show Holmes on Homes? That’s how Carl feels – he goes in and fixes problems and never encourages people to spend money on things they don’t need! He focuses on the concerns of the client and solves the issue effectively and on budget. There is a reason his website is www.FixMyBasement.com! Carl grew up in Horsham and moved to Bucks County 11 years ago with his wife and two sons. 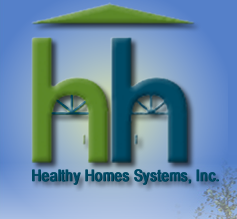 He started Healthy Homes Systems, Inc., in 2003 when the owner of the company he was working for retired. Carl decided to start his own business with his 30 years of experience, and put together the Healthy Homes Team, attracting the best people in the industry, and modeled his company after something he would be proud to own and know that he is 1) helping people; 2) giving them a fair price; 3) fixing peoples’ homes to make them healthy to live in; and 4) follows up with each client to ensure a successful project. Carl has gotten excellent referrals through the Bucks County Women’s Journal; every time an issue comes out, he notices an increase in calls for information as well as business, and views the paper as a great community resource. If my basement was wet, I would definitely call Carl at 215-453-1201 or 866-447-4852! This entry was posted in Bucks County, Bucks County Local Paper, Uncategorized, Women's Magazine, Women's Newspaper and tagged dry basement, healthy home, honest business owner, wet basement. Bookmark the permalink.